Writing product descriptions for on-line shops can be a lengthy and time consuming business. Quite often, one is tempted to just copy and paste the manufacturer’s description and sometimes the manufacturer or supplier will send you that description in a spreadsheet for you to import. However, most manufacturer’s descriptions are pretty dull and literally descriptive. Describing a wine glass is a bit too easy. It’s glass shaped, it’s made of glass, it’s clear etc. Also the main problem with using manufacturer’s descriptions is that probably all your competitors are using them too. Google is looking for unique content on sites with well defined keywords. in order to index your product. But customers are actually not just looking for a wine glass anymore, they know that if they type that search in to Google what they will get is a wine glass from whoever has paid the most money for Ad-words or from the biggest company selling wine glasses. Customers are much smarter than that. The wine glass they want are probably the ones they saw on the telly last night in Howard’s Way (you can tell I don’t watch much TV). So their search would probably be “those lovely gold stemmed red wine glasses Kate O’Mara was drinking Beaujolais Nouveau from in the yacht club on Howard’s Way last night”. So how do you match searches like that with your keywords? Well you can’t. It would be next to impossible to second guess a search like that and it kind of throws a lot of traditional SEO in to a cocked hat. What you can do is try to be more human and warm in your descriptions of products, not just use the manufacturer’s description but expand on the item from just it’s physical description to include it’s uses and benefits, often with examples. Taking our example of Kate O’Mara’s wine glass. A good product description would not just expand on the physical description. “Lovely gold coated stem, tulip shaped bulb, gold rim”. 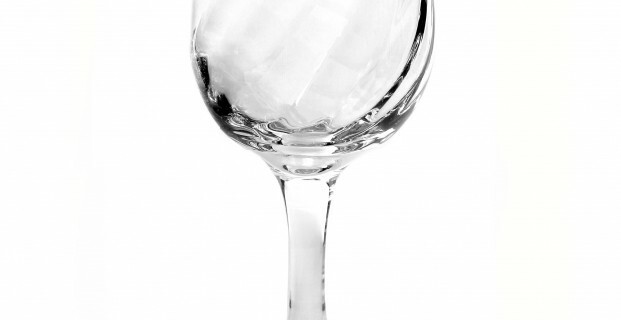 But also the benefit’s and uses of the wine glass including some examples. So you could say that it’s an ideal wine glass for drinking claret in a canal boat or for drinking Beaujolais at a yacht club or at a posh dinner party to impress the boss. While the examples might seem frivolous, it is enough to stimulate the imagination of your customers and in some way to entertain them and maybe to juxtaposition unexpected keyword’s in to your page in the hope that you might catch some of these un-imaginable searches. But don’t just leave it there, with the changes in the way Google’s algorithms work, all to do with Panda’s and Penguin’s, Google is looking for regularly updated content. So you need to write blog or news articles about these product’s as well. Let’s say you watched Howard’s Way last night and you saw Kate O’Mara drinking from that glass that looks a bit like the one you sell in your on-line shop. then you can write an article about it and hit lots of natural, un-guessable keywords by writing an article about the glass and how it was being used and then lead on to show it for sale in your shop; in fact why not knock a couple of quid off it at the same time so that you can make an offer on the wine glass that looks a bit like the one from Howard’s Way. Warm, unique product descriptions using natural language will set you apart from your competitors. Going on to show how your products can be used in blog articles, Facebook and Twitter will also help you improve contact with your customers and improve the search engine performance of your site without using any of the old fashioned crude techniques of keyword stuffing or link stuffing. Here at Godjira, we help our customers write product descriptions. We can write them for you or give you methods for easily mass importing lots of products and descriptions using clever technology. Click here to find out more.